Jeffrey D. Eisenberg, founding partner of Eisenberg, Gilchrist & Cutt, is a 1983 graduate of the University of Michigan Law School. Mr. Eisenberg has obtained seven figure recoveries for injured plaintiffs in more than two dozen cases, including jury verdicts of sixteen and seven million dollars. 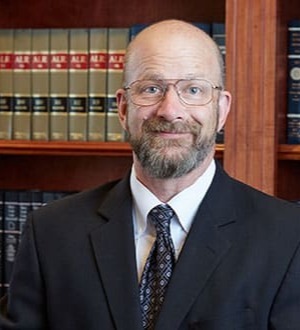 After spending nine years practicing at one of Salt Lake City’s largest law firms, Mr. Eisenberg has spent the last sixteen years representing injury victims and their families in large and complex personal injury, malpractice, insurance bad faith and other tort cases. Mr. Eisenberg also occasionally accepts commercial injury cases on behalf of businesses injured by the acts of large corporations. In addition to his trial practice, Mr. Eisenberg has maintained a commitment to teaching trial advocacy and related subjects to lawyers in Utah and elsewhere. He has served as Adjunct Professor of Law at the University of Utah’s S. J. Quinney College of Law. Working with the Utah Association for Justice (formerly Utah Trial Lawyer’s Association), Mr. Eisenberg founded and has supervised a monthly seminar program for young lawyers, entitled Learn from the Pro’s. In 2005, Mr. Eisenberg was asked by the American Bar Association to teach Trial Techniques at the 2005 TIPS National Trial Academy. Since 1993, Mr. Eisenberg has also served as co-chair and lecturer at The UAJ/ Utah Brain Injury Association, an annual brain injury litigation seminar. He has been an invited speaker at many other trial advocacy and litigation seminars in Utah and elsewhere. In 2008, Mr. Eisenberg delivered a presentation entitled Myth Math and Money, A Modern Approach to Proving Damages in Catastrophic Injury Cases at the midyear meeting of the American Association for Justice in San Juan, Puerto Rico. Mr. Eisenberg served as Editor of the Utah Trial Journal from 1996 to 2001. A member of the Utah Association of Justice Board of Governors since 1991, Mr. Eisenberg received UTLA’s Outstanding Service Award in 2000 for scholarship and was awarded a Life Member Award by UTLA in 2004. Mr. Eisenberg has been a member of the Board of Directors of Big Brothers and Big Sisters of Utah and he served as President of the Utah Brain Injury Association from 2000 to 2002 and was presented with the BIAU’s Outstanding Service Award. In 2007, Mr. Eisenberg was nominated for Membership in the American Board of Trial Advocates and he received the Larry Trattler Award for his work on behalf of the Public Justice Foundation, a nonprofit public interest law firm. A significant part of Mr. Eisenberg’s practice is spent co-counseling complex cases with referral lawyers. Through 2007, he has won verdicts on behalf of his clients in almost ninety percent of client’s cases which have required trial.